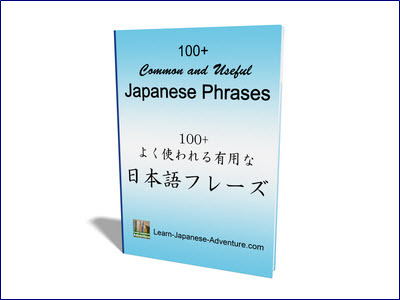 Genki Japanese and Culture School (GenkiJACS) is a revolutionary Japanese language school that teaches communicational Japanese for everyday life and work, with flexible and fun courses and activities. Our Tokyo branch is just minutes from Shinjuku Station, in the entertainment center of Tokyo. Despite that, the school is an oasis of calm, located in the beautiful grounds of the famous Hanazono Shrine. GenkiJACS was voted as Star World Language School 2016 at the industry Star Awards, the most prestigious award for a language school, and the first time in history that a Japanese language school has received this award! We are also accredited internationally by IALC, the International Association of Language Centres. 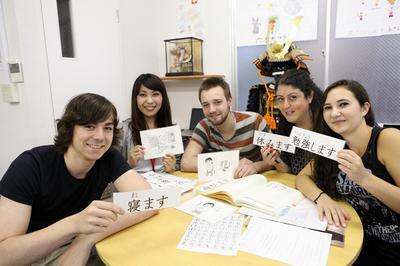 We provide a variety of unique courses, including traditional culture, pop culture, and conversational Japanese. Classes focus on the full range of communication skills, to prepare you for using practical Japanese in the real world. The school arranges accommodation for students in homestays, guesthouses, and private apartments. We generally offer 7-10 fun activities per week to keep students busy, including cultural experiences, tourist activities, and social events to introduce you to Japanese people. Classes have 8 students at maximum, and average only 5 students, so you have lots of chances to practice with the teacher. where you’ll get to try out the best of Japanese culture, such as sword fighting, pottery, tea ceremony, cosplay, and much much more! Our small group classes mean we have a large number of ongoing courses at any time, so you’re more likely to be placed in a class at exactly the right level for you, allowing you to maximize the use of your time in Japan! 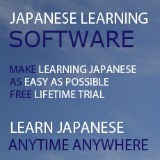 All GenkiJACS teachers have taken a 420-hour Japanese teacher training course, and most have many years of experience. They also speak English, so even at lower levels, you can make yourself understood. Our great teacher are the main reason students come back to study with us over and over again! Courses start every Monday throughout the year, and run for as many weeks as you like, up to a year or more! Any Monday of the year (for complete beginner students, first Monday of each month). Any number of weeks (maximum length depends on your visa). Four 50-minute classes each day, usually from 9:30am to 1:30pm. 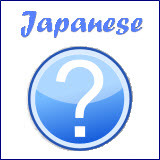 Students are accepted at any ability level, but must be able to read hiragana. Homestay, guesthouse, dormitory or private apartment. Email us for a specific estimate.